You love St. Patrick’s Day. Green beer. Green outfits. Green everything. 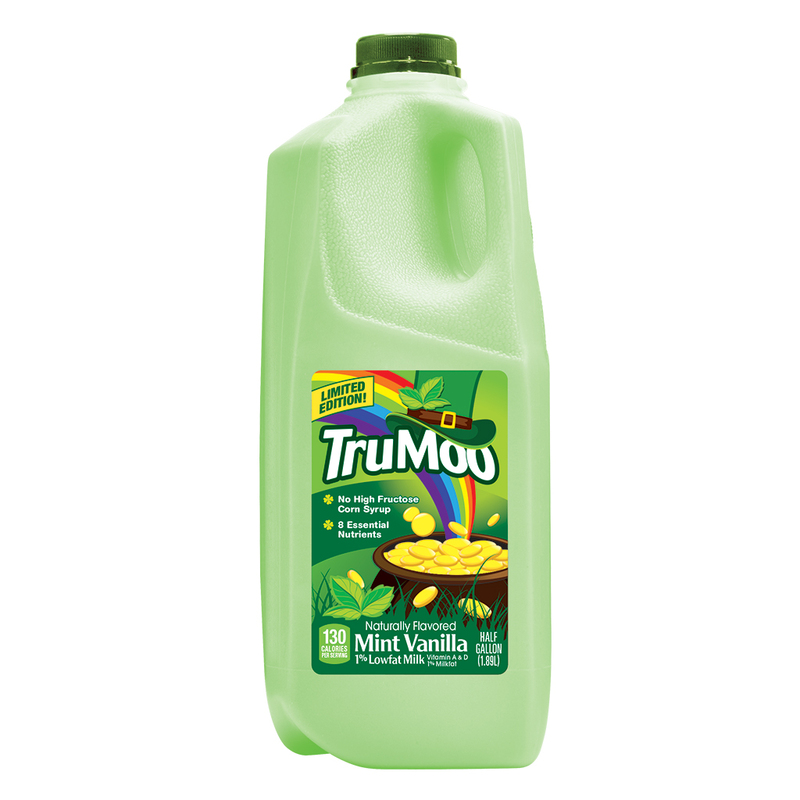 Dairy producer TruMoo has introduced a green-hued milk just in time so even your breakfast cereal can be part of the green fun. The neon green low-fat mint-vanilla concoction is on shelves for a limited time from the company that has brought us chocolate marshmallow milk and created an orange creamsicle milk for Halloween. No word on what kind of cows it came from, but we are certain they are not Irish.